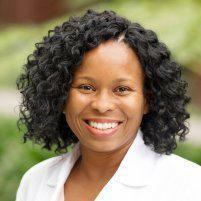 Dr. Ali-Jones completed her undergraduate degree at Princeton University and went on to the Mount Sinai School of Medicine in New York City to earn her medical degree. She also completed her internship and residency in general surgery at Mount Sinai Medical Center. As a native of the South Bay area, Dr. Ali-Jones was happy to return to the area when she was recruited to join Association of South Bay Surgeons in 2008. Dr. Ali-Jones has been a member of The Association of Southbay Surgeons for over 10 years. She is a dynamic, compassionate and highly trained surgeon with a specific focus in breast cancer. Dr. Ali-Jones is the Director of the Comprehensive Center for Breast Diseases @ASBS and has performed thousands of breast surgeries in her tenure. She continues to be an advocate for women’s health and is a leader in the cancer community in the South Bay. Dr. Ali-Jones is currently the chairwoman of General Surgery at Torrance Memorial Medical Center in Torrance, California and co-chairs the Cancer Committee at Providence Little Company of Mary Torrance. Call anytime to arrange an appointment with Dr. Ali-Jones.